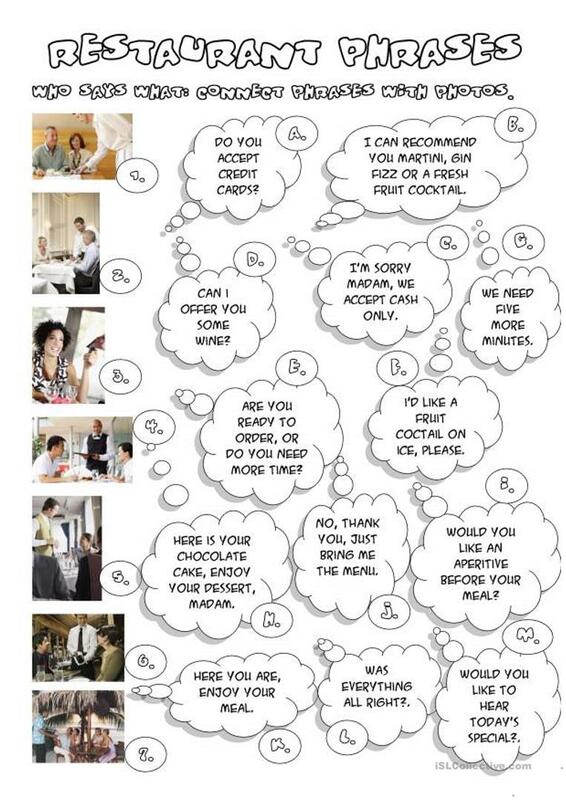 Phrases used by waiters and customers which can be used in a translation or in a dialogue practice (in pairs). The above downloadable teaching material is intended for business/professional students and high school students at Intermediate (B1) level. It is a valuable material for honing your learners' Speaking and Reading skills. It features the topic and words of Going to a restaurant.